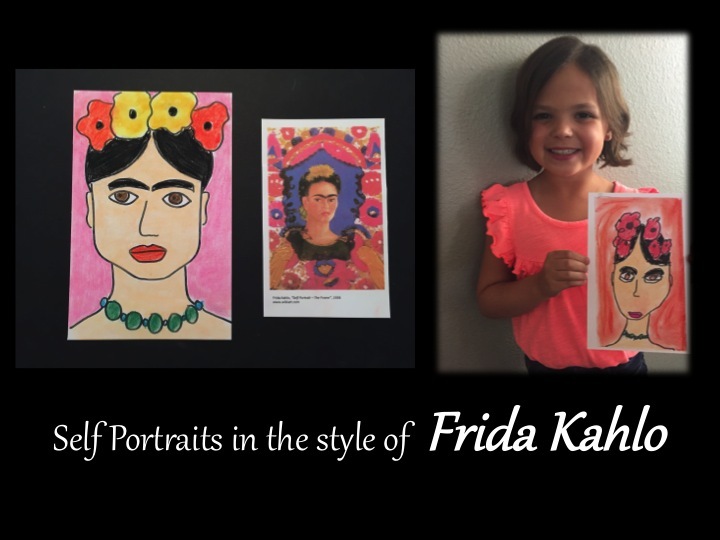 Study the artwork of Frida Kahlo and create self-portrait in the style of her work. Students will be taught how to draw a face using proportions and then get to draw a portrait using bold colors as Frida Kahlo uses. **extend the lesson by having the student practice creating their own self-portrait later in the week.